Sure, Bandai Nacmo is bringing a remastered version of Dark Souls to consoles and PC this Spring, but that doesn't mean they can't also bring their own take on it to those platforms. 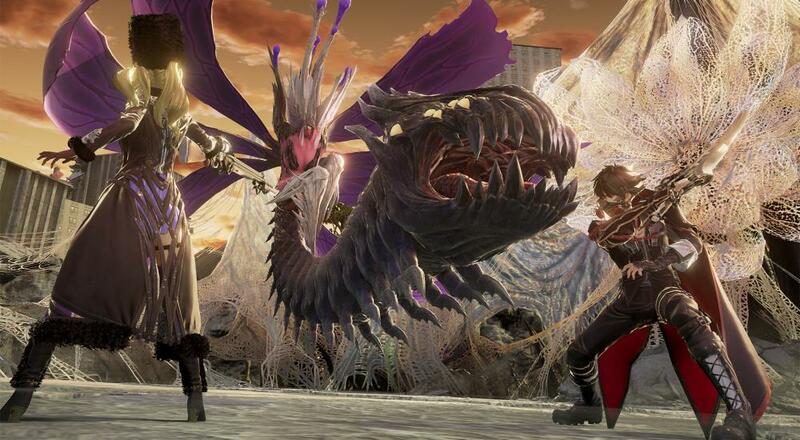 The developer announced earlier this week that CODE VEIN, an action RPG that's designed by the same team that worked on the GOD EATER series, will support online co-op for two people when it launches sometime this year. The game was first announced last April and was shown off with the player character running around with an A.I. companion. Given the clear Dark Souls influence, which was also stated in the title's marketing materials, it seemed likely that co-op would be coming at some point, but there have been other Dark Souls-type games without any form of co-op, so it was anybody's guess. Based on what's been said thus far, it appears co-op will be limited to just one other person that you'll be able to team up with, and it's not entirely clear how you do that. The announcement stated that the game will "gives players the chance to answer requests for help from other[s]" in order to clear out difficult areas/bosses, and that the A.I. companion would remain with you. We'll likely learn more over the next several months leading up to the game's release. CODE VEIN will be released sometime in 2018 on the PC, PlayStation 4, and Xbox One. Two player online co-op will be supported. Page created in 1.0578 seconds.